Are you facing a judgment or have you been threatened with one by a creditor? A judgment is a decision made by a court that details which parties are liable for what damages. In other words, it determines who is responsible for paying back the debt. Judgments are entered into public record and can present your business with many dangers. A court can rule to place a lien on your company assets and order them to be seized. This means you could be stripped of your real property, office buildings, machines, equipment, vehicles and other property. 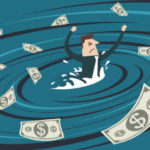 Alternatively, you could end up with a court appointed receiver who could do a number of things to your business, like run your company in order to maximize the value of its assets, sell your company, secure the assets of your company, or manage your company affairs in order to resolve outstanding debts. You lose all control of your business and your ability to make decisions as a leader. Once you are faced with a judgment, you have no choice but to address it. If possible, pay the balance of the debt in full. Most likely, however, those facing judgments do not have the liquid assets to be able to do that, so many either allow the creditor to seize assets in payment of the debt or choose to sell company assets on their own in order to pay the judgment. You can choose to negotiate a settlement with the creditor, but that is easiest (and most effective) with professional help. As a last resort, you can declare bankruptcy. 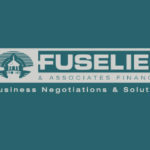 While the best course of action is always to address your debt issues prior to them resulting in a judgment, Fuselier & Associates Financial has the industry experience, staff expertise and skills necessary to negotiate a settlement with your creditor directly. Even at the judgment stage—the most severe stage of debt—we have been successful at reaching settlements with our client’s creditors that include a reduction of the debt owed as well as payment terms that our clients can afford. Download our free guide to how judgments and lawsuits can affect your business credit score, or contact us today to see how we can help you.